Bestselling biography of the 'Apostle of Faith' Smith Wigglesworth. In the two thousand years since the birth of Christianity, few individuals have made such an impact on the world for the Gospel as the Yorkshire-born plumber turned evangelist, Smith Wigglesworth. Multitudes were saved worldwide as he ministered, and miracles of healing and deliverance occured that have rarely been witnessed since the days of the apostles. 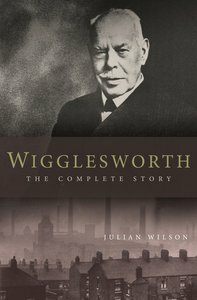 About "Wigglesworth: The Complete Story"
Julian Wilson has worked as an editor and writer for nearly thirty years. He is the author of Complete Surrender, a biography of the Olympic gold medallist and missionary, Eric Liddell and Wigglesworth, a biography of the British apostle and evangelist, Smith Wigglesworth. He spent 15 years living in Asia, but now resides in Australia with his wife and daughter.